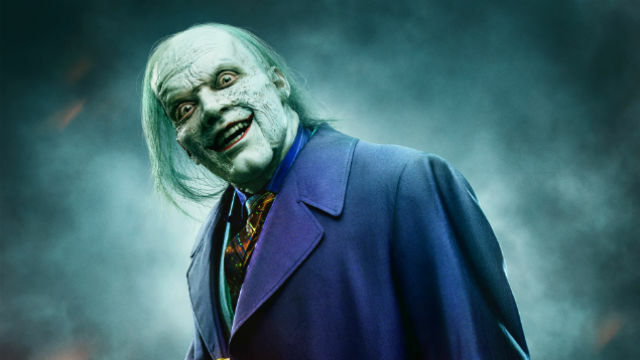 One of the most horrifying representation for the Joker is set to debut on the series finale of Fox’s Gotham. Ten years have passed since Jeremiah Valeska fell in a vat at Ace Chemicals while fighting with Bruce Wayne and now Gotham’s Clown Prince of Crime is ready to reveal his new look after surviving that horrible incident. Gotham‘s Cameron Monaghan took on Instagram to share a new look at his creepy character writing an ominous “boo” caption, then reminding everyone that The Joker will make his return in just two weeks. The series stars Ben McKenzie as Detective James Gordon, Donal Logue as Harvey Bullock, David Mazouz as Bruce Wayne, and Camren Bicondova as Selina Kyle/the future Catwoman. Gotham also features Morena Baccarin as Leslie Thompkins, Sean Pertwee as Alfred, Robin Lord Taylor as The Penguin. Moreover, the show stars Erin Richards as Barbara Kean, Cory Michael Smith as Edward Nygma/the Riddler, Jessica Lucas as Tabitha Galavan, Chris Chalk as Lucius Fox, Drew Powell as Butch Gilzean/Solomon Grundy, Alexander Siddig as Ra’s Ah Ghul, and Crystal Reed as Sofia Falcone. Gotham is based upon DC characters and is produced by Warner Bros. Television. Furthermore, Bruno Heller, Danny Cannon and John Stephens serve as executive producers on the series.